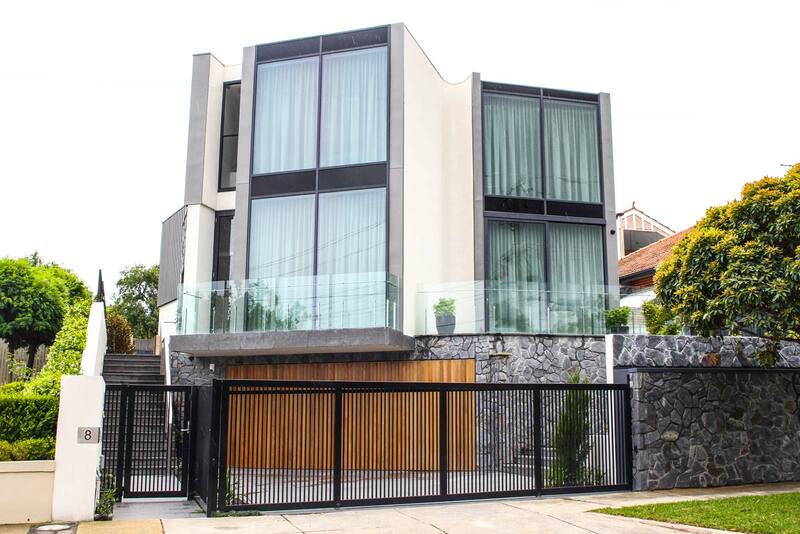 The construction of this architect-designed three-storey home was completed over 12 months, in order to meet the client’s many requirements to include numerous features and functions, and high-end joinery and finishes, to transform it into an exceptionally impressive and contemporary home. 22-metre long curved external wall, featuring cladding that including several VM zinc, Hebel, giant glass panels, rendered brick and block. Notable design features included a suspended concrete slab with curved set downs and beams.